Arthur and the Security Man DROP to the floor, Arthur on top. 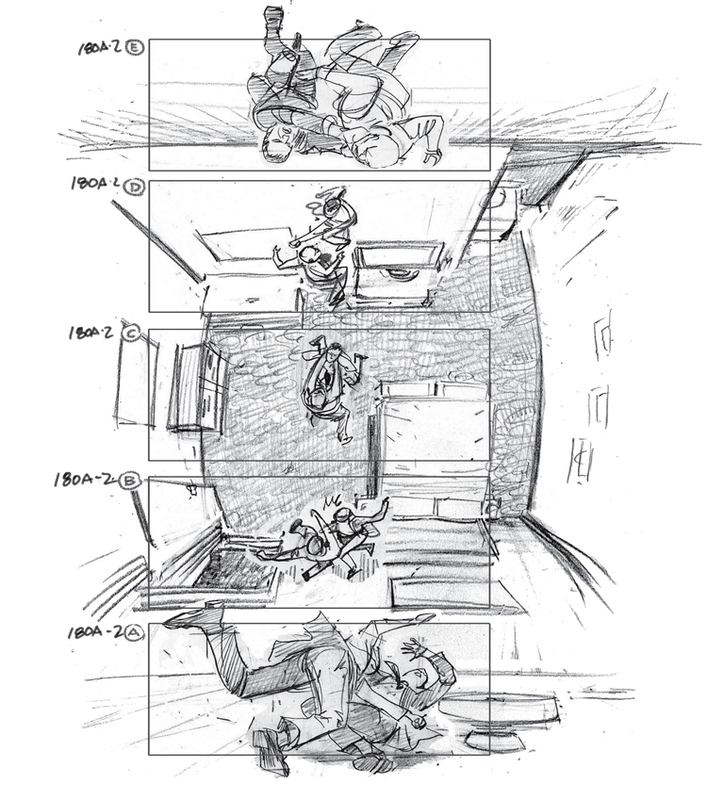 Arthur gets up- heads to the stairwell. Gabriel Hardman did it though. DGA had an article on it in "Altered States" and a sample. 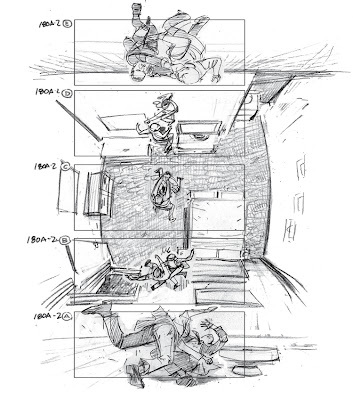 Are These Heart-Stopping Storyboards From the Lost 'Neuromancer' or 'The Matrix'?